WASHINGTON, DC -- Less than 48 hours after the first stories were published based on the Panama Papers, a massive leak of 11.5 million files from a Panama law firm known for setting up offshore companies, Iceland’s prime minister has resigned, at least one of the 29 named billionaires has gone on the offensive, a Ukrainian politician has called for the impeachment of its president and UK labour Jeremy Corbyn leader has argued, according to Newsweek, that the British government impose direct rule over dependencies accused of being tax havens. Ukraine President Petro Poroshenko under pressure due to the Panama Papers. After a yearlong investigation, the International Consortium of Investigative Journalists and 100 reporting partners around the world started publishing stories on Sunday that tied 140 politicians, 29 billionaires and at least 33 blacklisted people to 214,000 offshore entities. The impact of the leak could reverberate for months and lead to more resignations. That advice came a bit too late for Iceland’s prime minister. Earlier today Sigmundur David Gunnlaugsson, who has been in office since 2013, offered to resign and dissolve parliament after the Panama Papers revealed details of an offshore company, Wintris, that his wife owns. It apparently held and holds claims of Iceland banks that collapsed during the financial crisis. The resignation came after thousands of Icelanders crowded outside the parliament buildings in Reykjavik calling for him to step down. On Sunday he’d walked out on an interview with Swedish TV when questioned about the offshore company. Gunnlaugsson will likely be replaced by Independence party leader, finance minister Bjarni Benediktsson, whose name also apparently has appeared in leaked documents and is tied to an offshore company in the Seychelles, according to the Guardian. 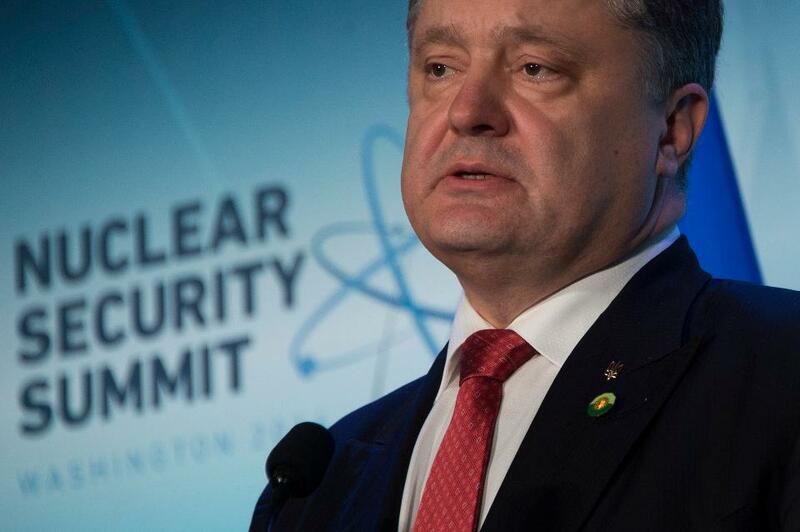 Ukraine’s president Petro Poroshenko is also under pressure after ICIJ’s published a report detailing how Poroshenko became the sole shareholder of Prime Asset Partners Limited, which the panama law firm, Mossack Fonseca, set up for him in the British Virgin Islands in August 2014. That was just around the time of Russia’s bloodiest attacks on Ukraine and led some to question where the president’s focus was during the fighting, on his country or his bank accounts. Poroshenko issued a statement on Facebook on Monday claiming that he believes he might be the first top office official in Ukraine who treats declaring of assets, paying taxes and conflict of interest issues profoundly and seriously, in full compliance with the Ukrainian and international private law. While Ukraine’s General Prosecutor’s office says it will not investigate Poroshenko’s offshore companies as it has no power to investigate especially as there does not seem to be a crime committed, government minister Oleh Lyashko is saying he will initiate impeachment. Meanwhile others are starting to go on the offensive. The family office of Russian billionaire Dmitry Rybolovlev, one of 29 billionaires in Forbes’ top 500 apparently named in the Panama Papers, and who was featured heavily in ICIJ’s story on how One Percenters use offshore companies to hide assets, put out a statement on Tuesday saying that the offshore structures were set up legitimately for the purposes of asset protection and estate planning and were totally unrelated to his high profile divorce as they were set up in 2002, six years before proceedings began. His lawyer Tetiana Bersheda denounced the Panama Papers’ story saying it contained inaccurate information and that Rybolovlev never used any offshore entity to conceal any assets. That indeed, as Forbes has reported, is true but they settled only after years of fighting and with his ex Elena long claiming he used offshore vehicles to hide numerous assets from her. Forbes reached her U.S. lawyer David Newman of Day Pitney in New York on Tuesday, who once again reiterated that Rybolovlev used offshore vehicles to hide assets from his wife.